According to this source, we won't see a report for Hurricane Michael until April. galaxy401 wrote: According to this source, we won't see a report for Hurricane Michael until April. Marias report was up on April 9th so expect around the first or second week of April the report. TorSkk wrote: Norman is up. ...as is TS Joyce in the Atlantic. No real changes, but none are to be expected from the distant fish storms, due to the high degree of uncertainty to begin with. That seems about right, Michael (and Florence) will likely be among the last ones, and there are a lot of "quicker" reports left to go like Debby, Ernesto, Gordon, Isaac, Kirk, Nadine and Oscar, plus Leslie with its difficult classification analyses. Many of those would have likely been out in January had it not been for the shutdown. With Gordon's track extension, it means not one storm actually formed in the Gulf of Mexico--the first time I believe since 2006. Gordon was kept as a tropical storm at landfall (some posters were wondering whether Gordon became a hurricane or not). Isaac is labeled as "Tropical Storm Issac" on the main page which made me thought they downgraded it. But in the report, it is kept as a hurricane. Possible error perhaps. Kirk and Oscar are both a little stronger in their reports (Oscar close to major hurricane status). I agree re: Gordon not being a hurricane at landfall or peak. In fact, the data is closer to supporting a 55 kt intensity except for that land report from Dauphin Island. As for Oscar, you could argue that it was a major at one point, but without Recon we will never know - very borderline case. Somehow I suspect that the TCR for Michael will upgrade to 140 knots (Cat-5) at landfall in FL, based on a combination of radar, recon, and last-minute deepening. One major reason is the fact that the strongest winds in the eastern RMW had already moved onshore at the time recon sampled its strongest flight-level winds. Radar-derived velocities may also support Cat-5 status, though one has provided them yet. Finally, observations from storm chasers and Tyndall AFB in the western part of the eye indicate that the pressure clearly deepened in the final few hours before landfall. The actual central pressure was probably quite close to 916-17 mb at landfall, given the extreme pressure gradient. The WMO TCP documents have the US update, and it appears that the Florence TCR is near. It had a peak intensity of 125 kt, although the landfall intensity was kept at 80 kt (which seems correct IMO). It also mentions that the Michael report is definitely not done yet. Kristy has been published. No upgrade to hurricane but it did become post-tropical a day later then originally assessed. CrazyC83 wrote: The WMO TCP documents have the US update, and it appears that the Florence TCR is near. It had a peak intensity of 125 kt, although the landfall intensity was kept at 80 kt (which seems correct IMO). It also mentions that the Michael report is definitely not done yet. It was on the cusp of being a Cat 2 with FL winds supporting it but I concur with that assessment. Radar picture stabilized and slowly looked better and better coming into landfall for Flo, going to a relatively complete eyewall from a ragged halfacane, gulf stream had a lot to do with stopping the tide of the rapid deintensification of Flo before its landfall. Very interesting they clearly stated final reanalysis of Michael had not been done yet after stating its operational landfall strength, tells you they still have to look more into it. Strange that Debby, Ernesto, and Nadine are taking so long. If Michael were to be upgraded to low-end Cat-5 status at landfall on the Florida Panhandle, it would significantly affect future assessments of risk and hence insurance policy, especially in the subtropics. 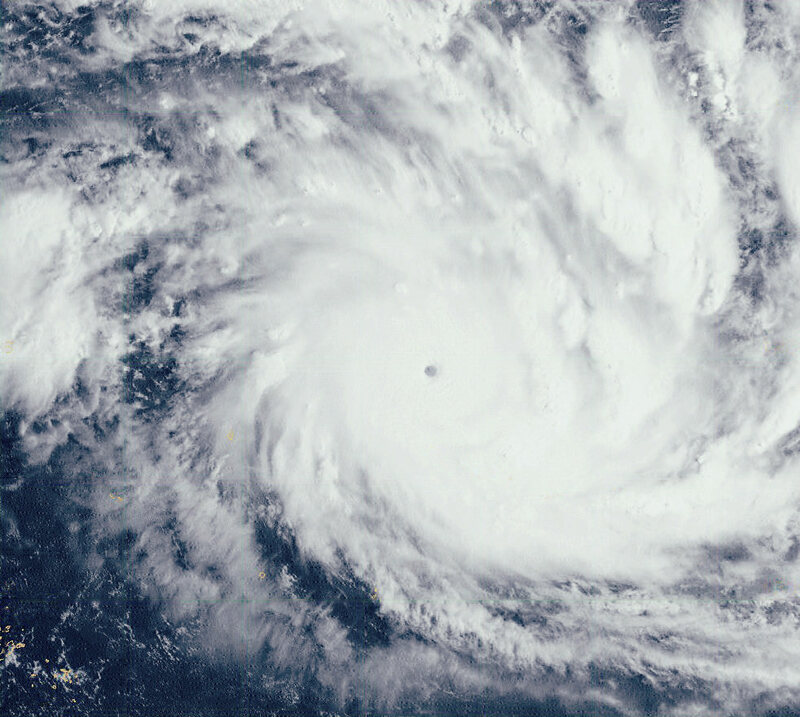 Michael would offer a concrete, verifiable case study regarding climate change and its plausible role in generating ever-more-intense storms at higher latitudes, outside the deep tropics. Unlike Camille's, Michael's potential Cat-5 landfall on the northern Gulf Coast will have been thoroughly vetted via modern, comprehensive monitoring, including NEXRAD, real-time reconnaissance, and in-situ, carefully calibrated land observations, including MSLP readings and surge heights. If Michael is upgraded to Cat-5 status, there will be no doubt about the veracity of the upgrade, given all the data at hand, including well-documented, visual evidence of wind and surge damage. We cannot say the same for Camille in 1969, whose Cat-5 status can be rightly questioned even post-reanalysis, but we can say this for Michael. 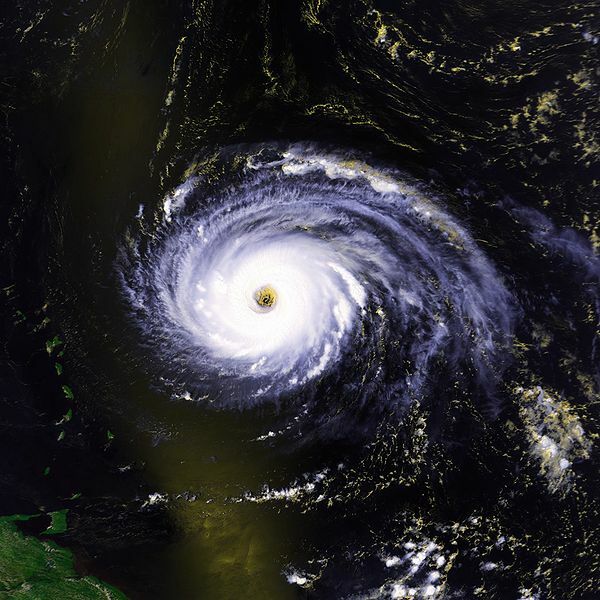 Camille may or may not have made landfall as a Cat-5, but if it did not do so, Michael may illustrate the role of climate change, among many other factors, in changing the risk of super-intense landfalls on the N Gulf coast, and not in a good way for the people who reside there. Speaking of Cat-5 landfalls outside the deep tropics, I think that Hugo (1989) may have been quite close to Cat-5 status at landfall in South Carolina. The reasons: 1) it impacted similar species to or the same species of plants as Michael did, including hardy, mature pines; 2) its wind field at landfall was quite comparable to Michael's, and its forward speed was not very different; 3) the extent of debarking, shredding, twisting, and snapping of mature pines, including defoliation, in the area of landfall was extremely comparable not just to Michael's, but also Andrew's in 1992; 4) like Michael and Andrew, Hugo was rapidly deepening before, during, and perhaps even slightly after landfall. Even the estimated central pressure of 934 mb at landfall is likely too high, based on observations just inside the RMW (hence barely inside the eye), but not directly in the area of lowest pressure and/or the wind-centre. Furthermore, Hugo also featured a rather sharp pressure gradient as it made landfall, with a concentrated area of extremely high storm surge, especially in and near Bulls Bay, McClellanville, and Francis Marion National Forest. My personal estimate is that Hugo was likely close to 130-135 knots/~930 mb at landfall, but it could easily have reached 140 knots as it hit SC. Another contender for this list might be the 1919 Florida Keys hurricane, near the Dry Tortugas (intensifying to 927 mb coupled with a very small RMW). Absolutely agreed, we have all the data now, even more so than we did even in say 2005, on how Hurricanes work and how we can view them with data, radar, satellite (I believe the investment of a 1 minute Satellite was perhaps the best investment our government has made into weather forecasting in a long time)and if they do in fact upgrade Michael to a 140 kt Cat 5, there will be little room to question such an assessment with all of the data supporting such a thing. I am of the belief that Michael was in fact a Cat 5, and strongly agree with your assessment. Hugo is a hurricane that, like Michael, rapidly tightened up and deepened into landfall. A radar loop of both shows the dramatic increase in radar reflective and a broad ring of an eyewall. I have seen damage footage of Hugo, and in all honesty it looks very similar to Michael and Andrew. I think it was definitely stronger than what the NHC states it made landfall as given the improving radar picture into landfall. Both seem to have started the preliminary acts of an EWRC 4 hours before landfall (no moat, but a formation of a secondary ring of strong reflectivity), but an hour and a half before, you can see the ring solidify and get stronger, this in turn compacted the storm slightly but significantly strengthened each, similar to Charley (which differed by CLEARLY had a moat coming into landfall yet the inner eyewall kept on getting stronger and stronger each frame) . I think Hugo deserves a reanalysis similar in vein to Andrew. It may be a slight reach for a Category 5, but there is almost as much evidence for it being such as other Cat 5's. It definitely deserves a second look. TS Nadine for ATL and HU Miriam for EPAC are our today. The latter includes the CPAC portion.